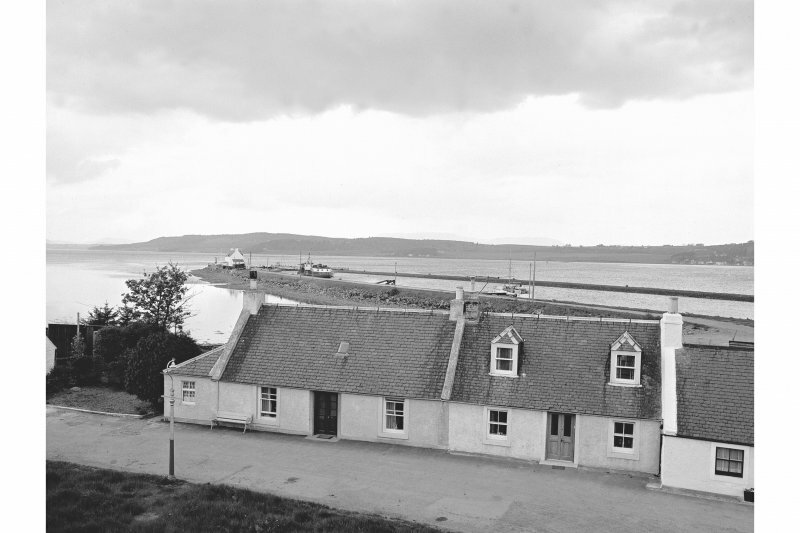 Scope and Content Cottages and sea lock, Clachnaharry, near Inverness The construction of the sea lock which formed the eastern entrance to the Caledonian Canal was an extended process, involving the movement of earth to form an embankment in which the lock could be formed. This view shows cottages which were probably built to house men working on the construction of the lock, with the embankment and lock behind. The position of the lock is marked by the whitewashed lock-keepers' houses. The sea lock opens out into the Beauly Firth, a relatively sheltered stretch of water. Source: RCAHMS contribution to SCRAN.